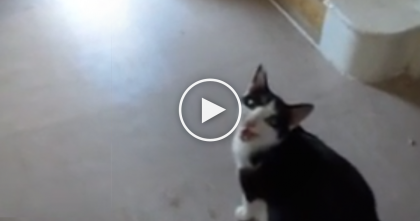 This adorable black and white kitty might be confused for a dog by the way she acts sometimes! You won’t believe her reaction to a simple word – walk. When her human asks, “Do you want to go for a walk?” she runs to the door and meows until her leash is put on. 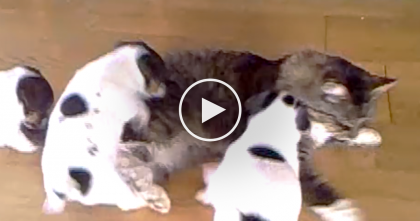 Puppies Meet The Cat For The First Time, Now Watch Their Reaction… Omg, It’s Just TOO Much! 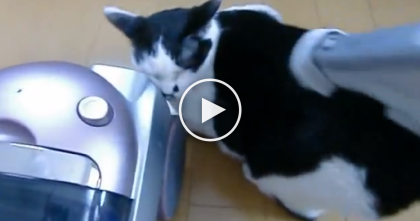 Human Discovers Noisy New Way To Clean The Cat…And This Kitty Just Loves it!! 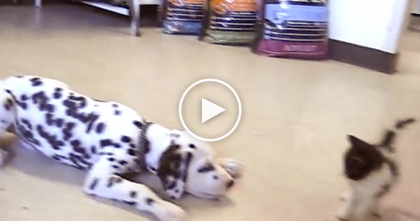 This Kitten And Dalmatian Puppy Meet For The First Time, WATCH Their Reaction!